Which St. Patrick’s Day in Hawaii Celebration is Right for You? Murphy’s Bar and Grill: Promoters call this celebration the Grandest St. Patrick’s Day Celebration in the Pacific! It’s also a pretty charitable one: Murphy’s will be donating two dollars per pound of corned beef sold throughout the week to benefit the Hawaii Children’s Cancer Foundation. For families, you can take advantage of the delicious lunch and keiki fair, while those who party into the night can start at 5 p.m., when the block party begins. 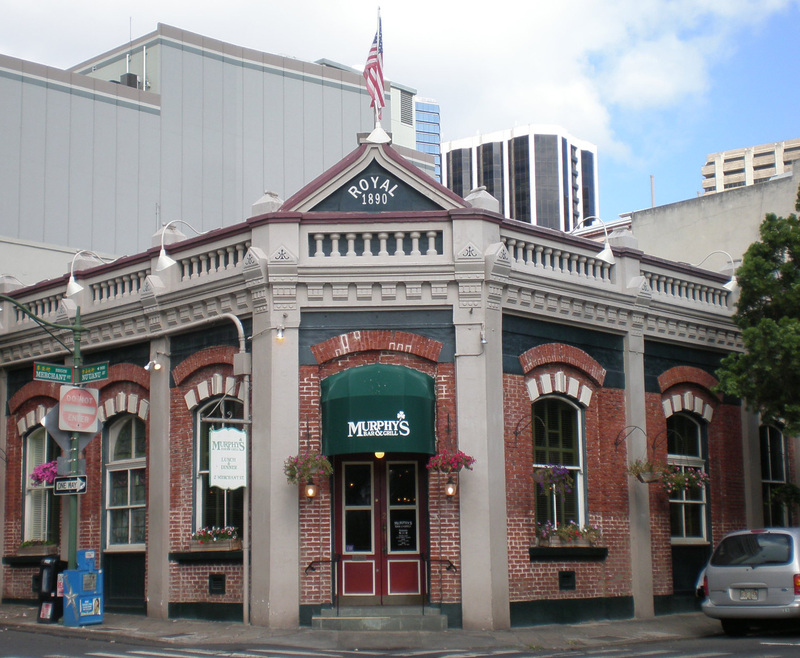 Murphy's Bar and Grill in downtown Honolulu is always the center of the biggest St. Paddy's Day party in town. Murphy’s Bar and Grill will be open at 11 A.M. serving lunch in the restaurant, and starting at 11:30 A.M., we will be open in the parking lot across the street, where we will have several booths set up with food, beverages, t-shirts, and other souvenirs. At 5 P.M. the restaurant will block Nuuanu and Merchant Streets to start the big block party (No admission charge) After 6 P.M. children are allowed, but not recommended. There will be more booths, live music and DJ stages, dancing, and a lot of fun! Waikiki's St. Patrick's Day parade draws out all of the Island Irish. 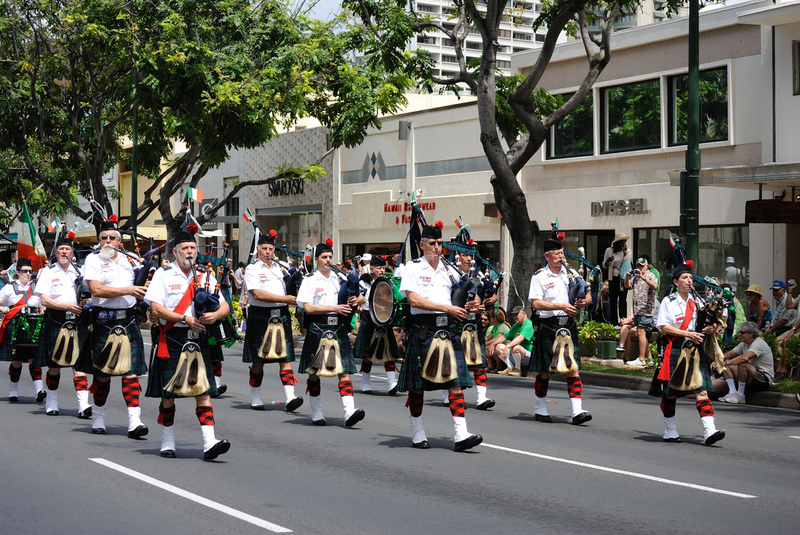 The 50th Annual Waikiki St. Patrick’s Day Parade: This year, the parade will be held on Friday March 17, 2017. Join us when the march steps off on Kalakaua Ave. in front of Ft DeRussey and makes its way through Waikiki to the bandstand at Kapiolani Park. The parade has around 800 participants including community organizations, marching bands, groups from the military, and keiki from schools. The parade lasts about 90 minutes. If you’re staying in one of the many Oahu hotels located in Waikiki, you will likely be able to walk to the parade route. 9th Annual St. Patrick’s Day 5k Fun Run at Ford Island: This fun and festive event is in support of the 117th Submarine Birthday Ball and starts in the early morning on Ford Island. Registration is required for all runners 12 and up. Wear costumes or St. Patrick’s Day colors! Registration includes entry to win a NIKE Watch. Additional raffle tickets will be available the morning of the race. Awards will be presented to the Top 3 Males, Top 3 Females, Best Costume and the Command or group with the most participation. The event will start across from the Navy Lodge on Ford Island. The run begins promptly at 7AM. Arrive early to get your t-shirtds and other Sub Ball memorabilia. Parking attendants and volunteers will be on site to point you in the right direction. We may not have a HUGE Irish population in Hawaii (about 5% of our population hails from Irish descent), but no matter! St. Patrick’s Day in Hawaii is still a big celebration — and it’s one you WON’T want to miss. So, decide which event is right for you, and I’ll see you at the party!